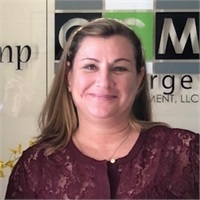 Michelle O'Connor | Concierge Capital Management, LLC. Michelle has been working with Concierge Capital Management for several years now. Besides being Elena's oldest daughter, Michelle's main responsibilities of the office are organizing marketing communications, organizing client seminars and setting Patrick's client meetings. When Michelle isn't in the office, she is probably listening to country music and spending time with her husband Jeff and their two daughters, Noelle & Kayle.